Plastic that China no longer wants stacks up at E.L. Harvey and Sons in Westborough. I thought we had reached a celebratory moment in our household when we produced by volume more recycling than trash. Into the bin they went: glass food jars (clink! ), folded cardboard packaging (crunch! ), and plastic clam-shell salad containers (crick!). They were the sounds of guilt-free jubilation. Not anymore. Chinese officials are no longer accepting many recyclable materials from abroad, including mixed paper and a range of plastics, in part because much of it was contaminated. As a result, what was once a profitable venture for many municipalities now comes at a major cost. 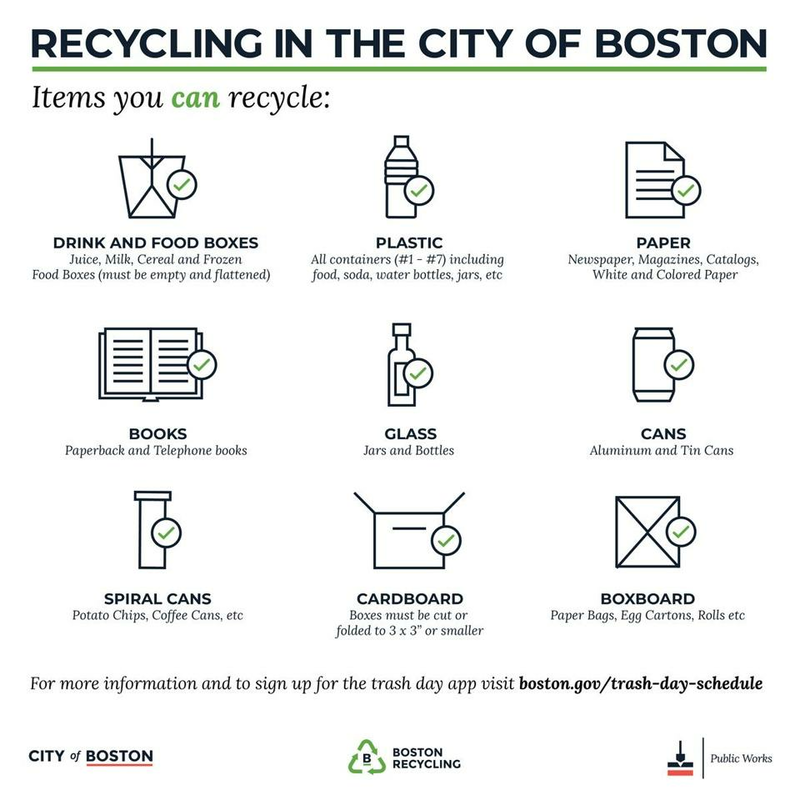 As recently as 10 months ago Boston made some revenue off its recyclables program by selling materials overseas, and now officials say we’re paying up to $30 per ton to haul it away. “For a long time we’ve taught citizens that recycling is free and magical. . . . That way has basically gone away,” said Edward Hsieh, executive director of MassRecycle, a nonprofit coalition that seeks to push pragmatic solutions for recycling in the state. The first step to improving our recycling, environmental advocates say, comes well before the glass hits the bin. There’s a reason that “reduce” and “reuse” come first in the maxim: consumers should make an effort to do those first. What can’t be eliminated through those means should be recycled, and, only as a last resort, sent to the landfill. It starts in the stores. Think about packaging from the point of purchase, or before you decide where to spend your dollars. Hsieh points out, as an example, toothpaste tubes do not need a cardboard box as packaging, and consumers can make a choice to do without it by purchasing an alternative product. “We’re a society of consumerism, but when you do go buy stuff, just pause and think about the bigger impact,” he said. Plastic bags and containers can be reused to transport produce or dry goods at the grocery store. If there’s an option to buy in bulk — like from a big bin of nuts — use a spare container that you’ve left in your reusable grocery bag so it’s readily available to you at the store. Before buying, think about how difficult it will be to dispose of the container. Seek out items that are refillable, and, if it’s financially feasible, purchase items — food and other goods — that last longer or have a better warranty. “There is a cost savings if you’re very careful about making a smart consumer choice, buying something that lasts longer and has less packaging,” Hsieh added. Consumers can also carefully choose which items they receive via shipments from online retailers versus purchasing in stores (I once received some carefully shopped, non-toxic, environmentally-friendly nail polish in a 6-inch-by-12-inch box with bubble wrap. Oy.). The more packaging saved on the front end, the less waste and, potentially, recycling issues there will be on the back end. 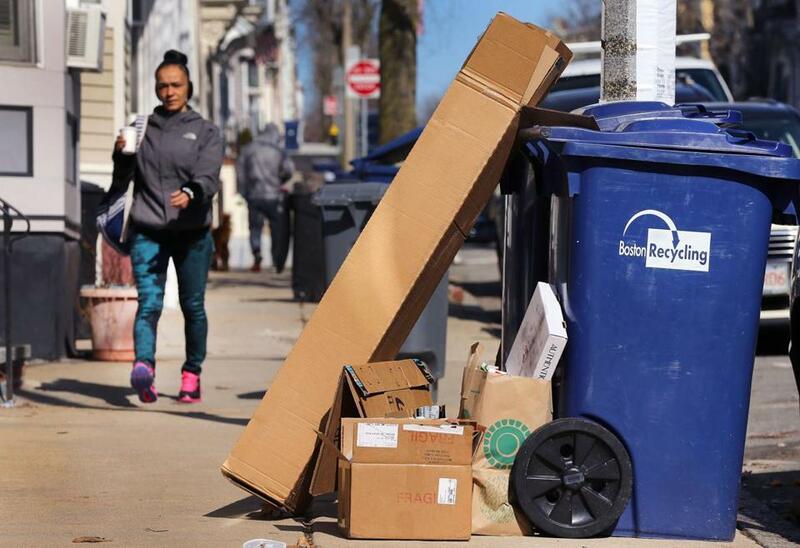 Cardboard boxes from online shopping stack up at H Street in South Boston. Don’t put your recyclables in plastic bags and then in the bin. If there’s one thing that residents can do to improve the recycling process in Boston, Coughlin said, it’s to keep plastic garbage bags out of the curbside bins. Because you can’t see inside them, these bags can be dangerous for the workers who sort recyclables — and they usually end up in the trash. Or, even worse, the plastic bags get caught in the machine, gumming up the gears, and stopping that production line temporarily. There are exceptions: In more than a dozen city districts, usually in areas without a lot of curb space, residents can purchase special clear plastic bags to leave loose recyclable materials on the street for pick-up. These are allowed and encouraged. Another common contaminant, Coughlin said, is styrofoam cups. And the city’s recycling won’t accept other disposable items such as napkins, paper towels, tissues or straws. Do the research. Are you just quickly checking for a triangle symbol before tossing whatever it is in the curbside bag or bin? “Don’t just assume because it’s recyclable that it should go into that bin in particular,” Hsieh said. Plastics can be tricky given the range (No. 1 through 7), but other materials can be contaminants, too — such as empty pizza boxes, clothes, or scrap metal. What’s more, the rules can vary by municipality, so check with your city or town to get details on what’s acceptable. 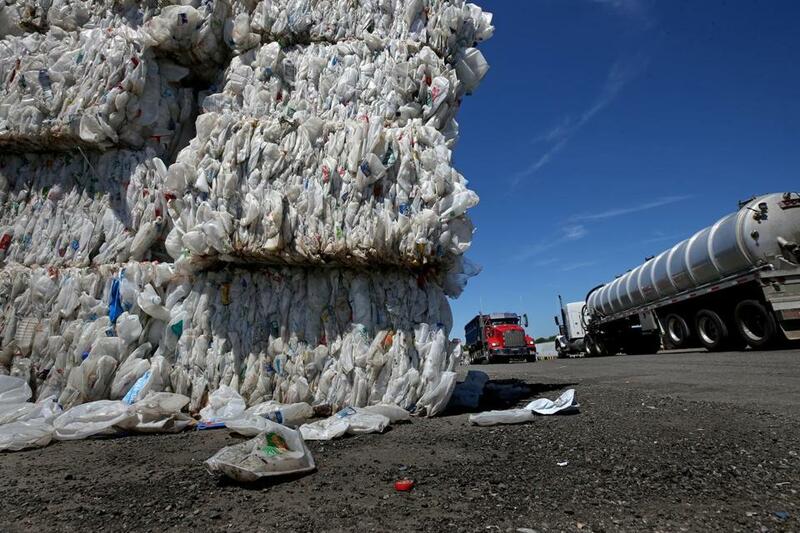 One jurisdiction may accept only certain kinds of plastics, for instance, while another takes all seven kinds. 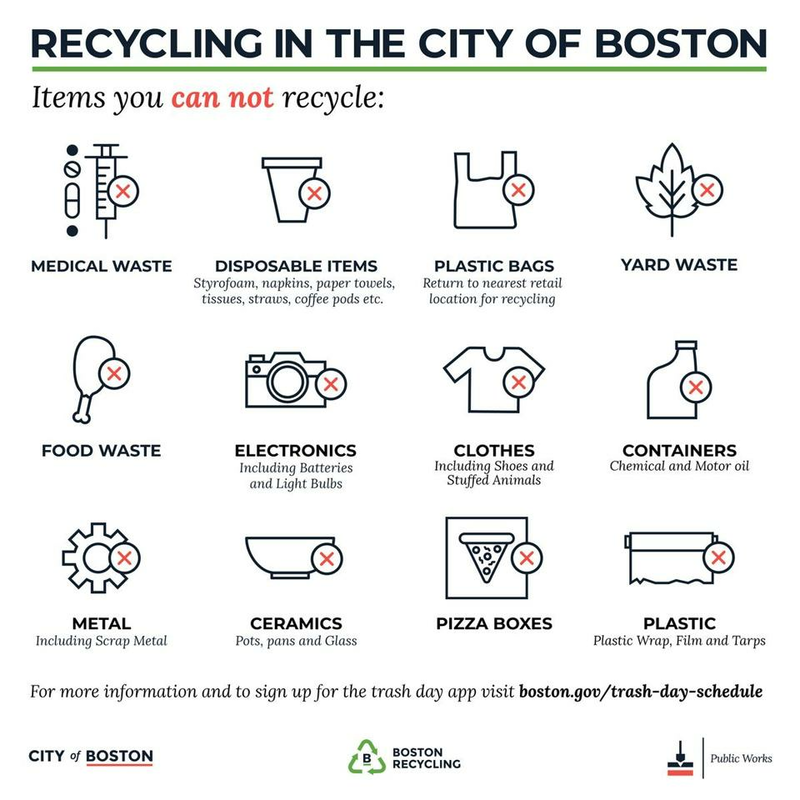 Along those lines, the city of Boston has an app with a materials directory to help residents figure out what goes into the bin and what goes elsewhere. Remember: Just because it’s not allowed in the curbside bin doesn’t mean it can’t be recycled somewhere else. Those small plastic grocery bags that, at least in Boston, shouldn’t go in the bin? Grocery stories typically have a drop-off spot for them to be recycled separately. Electronics, styrofoam, and other materials can be dropped off elsewhere. “You could have a lot of good stuff in your recycling bin, but if your neighbors are constantly throwing contaminants in the bin, it almost negates the efforts that you’ve made,” Coughlin said.